If you’re a HubSpot Marketing Hub user, you’re probably familiar with the lists tool. If you’re not, here’s a crash course. Lists may seem simple, but they’re a powerful tool in your marketing program. I’m going to highlight the differences between two kinds of lists in Hubspot: active and static. Let’s get metaphorical. If active lists are you after you’ve been training for a marathon, a static list is you right after the holidays and before your January gym membership kicks in. It’s a snapshot of you, but not you at your best. In HubSpot, a static list is a snapshot of your data at one point in time. Sure, it looked that way at one point, but since then it’s cleaned itself up, gotten more complex, and trimmed the fat- just like you following your resolutions. Active lists can be set up using a sophisticated list of criteria that you can always tweak and change. This includes contact properties, company properties, and/or statements, has ever been/has never been statements, and more. Contacts and companies on your active list will be automatically removed if they no longer meet your requirements. Static lists will always remain in the same state they were when originally uploaded, requiring manual work if you want to remove or add contacts. However, static lists aren’t a lost cause. 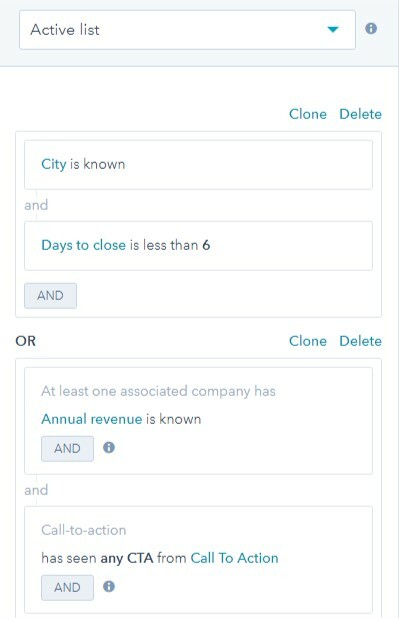 You can create custom properties to tag the contacts or companies in your static lists, and then use those properties to pull them into an active list that can then be used for marketing emails and other segmentations. Once you’ve made your active list, you can apply them to your HubSpot marketing in a variety of ways. Send unique marketing emails based on each contact’s behavior and properties. 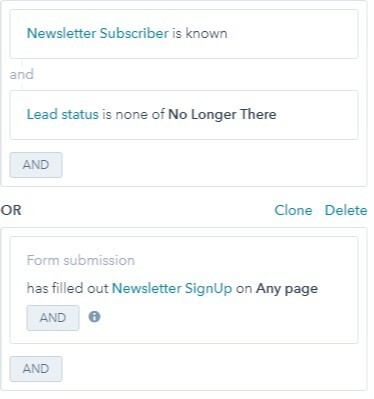 Active lists can automatically update the list of subscribers to your newsletter, marketing email types, etc. For instance, let’s say you send out a monthly newsletter. When you first started your list, you used an excel spreadsheet of all your current subscribers. But that was 6 months ago, and you’ve had many people opt into receiving your newsletter since then. How can you make sure your list will constantly update with new subscribers, as well as remove anyone who has left their company? who fills out your subscription form with this property. Then, you added it to an active list, making sure to exclude anyone who is no longer at their company. Then, each month when you’re ready to send your newsletter, all you do is select your ‘Newsletter Subscribers’ list as the recipients, confident that the data is accurate and updated. ‘Do I want to be able to use my lists in a bunch of innovative ways, and have them clean themselves based on properties I choose, or do I want to just upload a chunk of excel data every time I want to communicate with my customers/prospects?’. If you’re a marketer with a constantly evolving list of contacts and prospects, active lists will be the easiest and most efficient way to communicate with them effectively. A static list might be a good starting point, but the final destination should always be active lists that you can rely on being up to date and accurate. If you have any questions at all about lists or any other aspect of HubSpot, Gate 39 Media is here to help. You can call us at 312.715.1475, or reach out me directly at [email protected]. 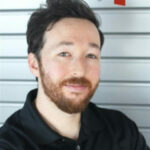 With several years of experience developing marketing automation programs in the automotive, software, and pharmaceutical industries, Daniel brings a unique perspective to Gate 39 Media. Through collaboration with clients and internal resources, Daniel helps to bring HubSpot campaigns and their assets to life.